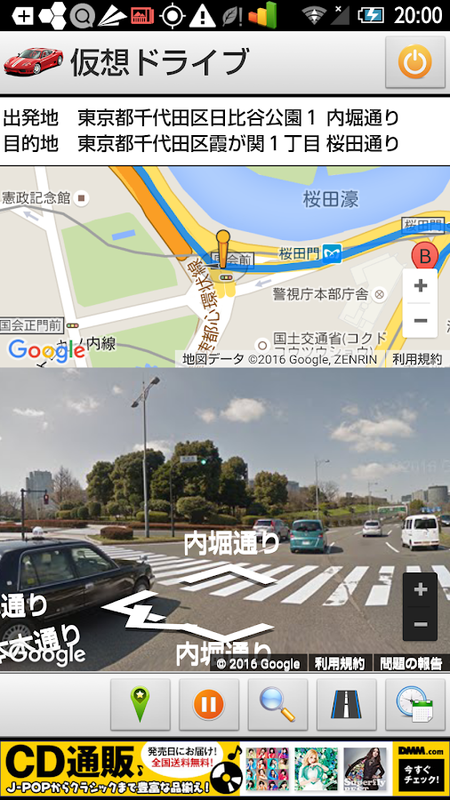 Virtual drive isthedrive-simulation using the Street View feature ofGoogleMaps. 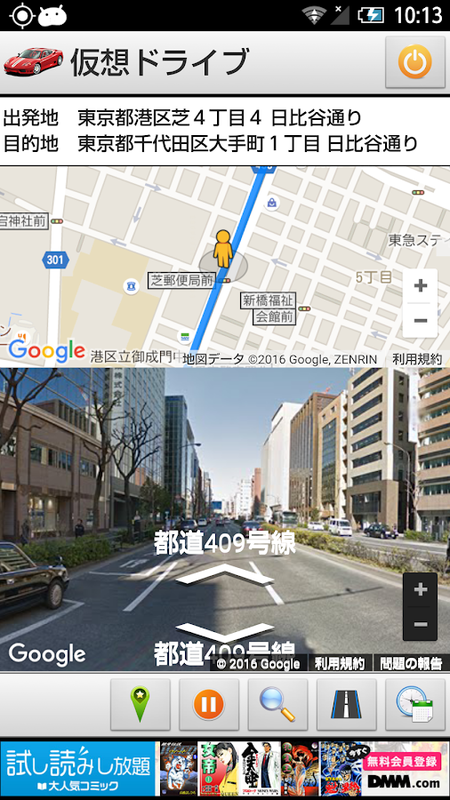 Street View along on if you specify the route information hasbeencreated is automatically created route to the starting pointanddestination on the map will be auto-play. 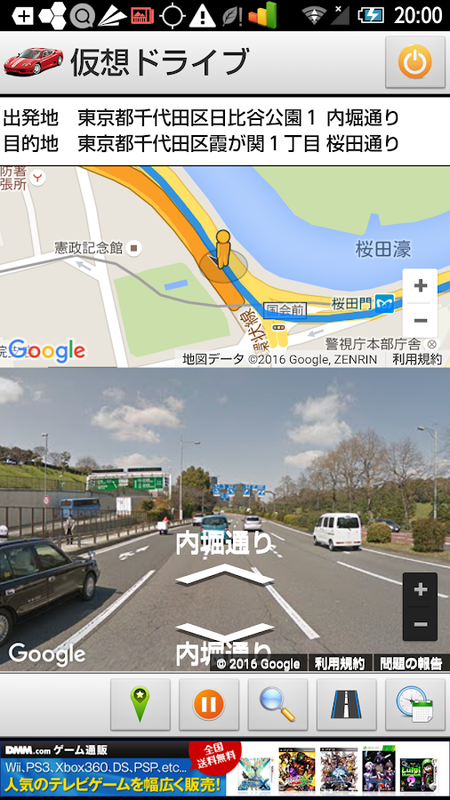 Once you drive the route information can be shared with otherusersis recorded on the route history. 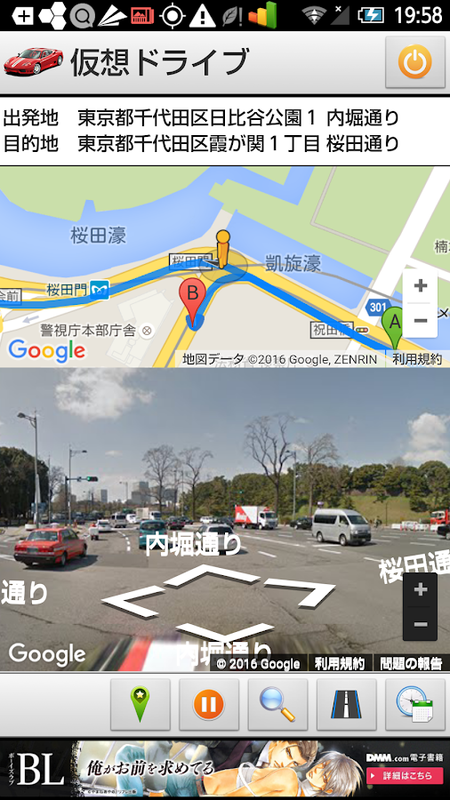 In addition, since the famous route information has alreadybeenbuilt on the app, you can drive simulation easily famous route. 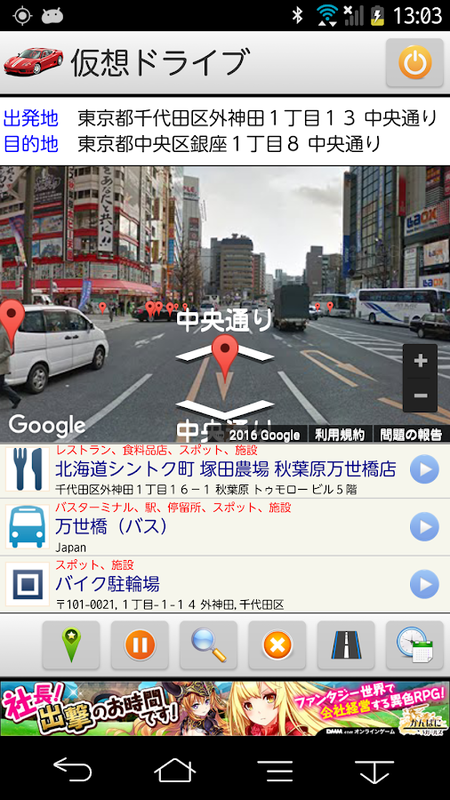 ※ Is the starting point and destination to click on the map,youcan be specified using the word search. In a word search is almost possible search with thespecifiedmunicipal level even if there is no specified prefectures.Forexample, you can word search in specified municipal level, suchasMinato-ku and Yokohama. Normally, when you specify amunicipality,you can display the neighborhood office of themunicipality. To operate this product must meet the followingrequirements. 高知市のはりまや橋から徳島県のかずら橋、びわの滝、大歩危を観光し一路宿泊先の四万十市へ。翌朝56号線で高知県西端の柏島に向かいきれいな海岸風景と大堂海岸展望台からの眺望、ここは最高でした。そして海岸沿い経路で高知市までの海がメインの映像です。ドライバーさん有難う御座いました。「ゲームは、日経BP社「HTML5アプリ開発の入門書」（日経ソフトウエア編）を参照して作成。」OfTokushima Prefecture from Harimayabashi Kochi Kazurabashi,waterfall of loquat, the tourism and to Shimanto Ichiroaccommodation Oboke. View from Kochi Prefecture toward the westernedge of Kashiwa Island beautiful coastal landscape and Daidocoastal observatory in the next morning 56 Line, here was the best.And the sea is the main image of up to Kochi in the coastal route.Thank you Mr. Driver. 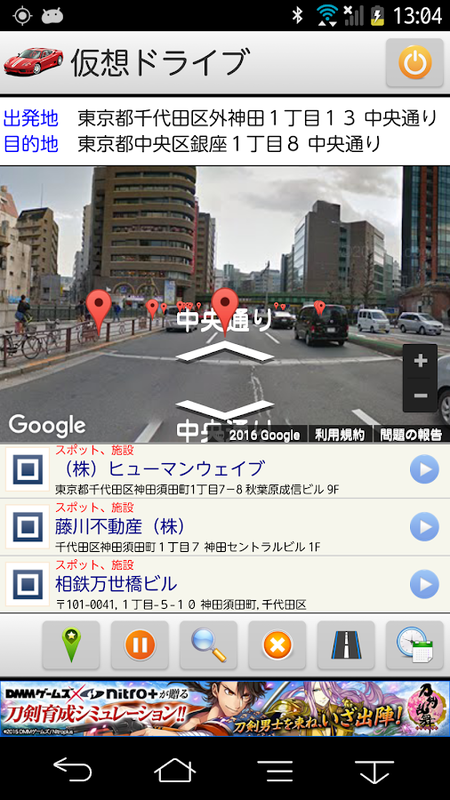 "The game, created by reference Nikkeiintroduction of BP's" HTML5 app development, "the (Nikkei softwareed). " I created a 3D world map app a collection of useful features. 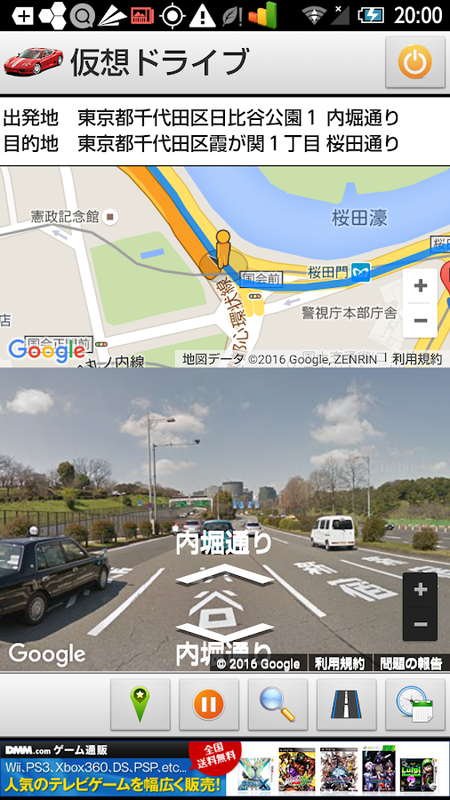 Ithas become a convenient map application that can be used not onlytravel, but also to everyday life and work. [Gesture Control] ・2fingers turns→turn a map(change direction) ・2 fingers slide→changecamera position [Feature List] ・Display your location ・Transfer tothe location ・Transfer of the map, by address or keyword search・Select from 4 Maptypes(Normal,Satellite,Terrain,Satellite(Hybrid)) ・Show Traffic jam・Spot display in Japan ・Registration of the pin(maximum 20) ・Adressdisplay of tap point ・Display of Street View ・Distance measurementAddress, a keyword search, for example, if you search the"Roppongi", location of Roppongi, Minato-ku, Tokyo, Japan appears.Map can be displayed in the search by keyword and "Tokyo Sky Tree"and "Yokohama Chinatown". In spot view of Japan, it is divided into18 fields, "Shrine", "Temple", "Museum", "Art gallery", "castle","historical site", "zoo" and "aquarium" etc. to display a mark tothe map. You can also be displayed by selecting the only optionalarea. The pin that can be a new registration, you will be able todescribe the "title, time, and more" in the information of 1. 【OSversion】 4.0 and over（under 4.0 may not works normally） Enjoy it!